Kevin Barry's debut story collection, There Are Little Kingdoms, won the Rooney Prize in 2007. 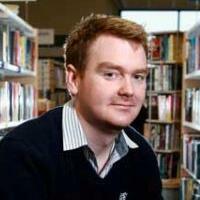 His first novel, City of Bohane, was published in 2011 and shortlisted for the Hughes and Hughes Irish Novel of the Year and the Costa First Novel Award. His short fiction has appeared widely on both sides of the Atlantic, in publications such as Best European Fiction, The Granta Book of the Irish Short Story and The New Yorker. "White Hitachi" is from his new short story collection, Dark Lies The Island. 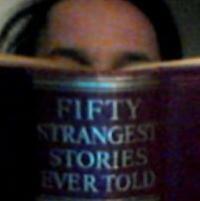 Sarah Butler writes novels and short fiction. Her work, which explores themes of home, place and family, has been published in anthologies and journals, and online. Her debut novel Ten Things I’ve Learnt About Love will be published by Picador in February 2013. 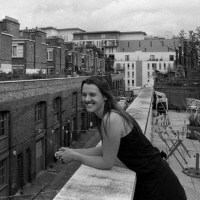 She runs UrbanWords, a consultancy which develops literature projects engaging with regeneration and urban renewal. Don Coles was born in Woodstock, Ontario, in 1927. He studied history at the University of Toronto, finished a second degree in English Literature at Cambridge in 1954, and subsequently lived in London, Stockholm, and Munich, initially on a grant, later as a translator. From 1965 to 1995, he taught Humanities and Creative Writing at York University in Toronto; for ten of those years he was also poetry editor for the ‘May Studio’ at Banff. He is the author of eleven books of poetry, including, in the U.K., Someone Has Stayed in Stockholm: New and Selected Poems (1994), in Germany, Die Weissen Körper der Engel (trans. Margitt Lehbert, 2007), a book of translations from the Swedish of Tomas Tranströmer, a novel entitled Doctor Bloom’s Story (2004), and a memoir, A Dropped Glove in Regent Street (2007). 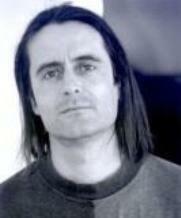 John Culbert was born in Tokyo and grew up in Switzerland. He completed a PhD in French at UC Berkeley and has taught literature and writing at Williams College, Scripps College, and the University of California-Irvine. Currently he lives in Vancouver and teaches at the University of British Columbia. 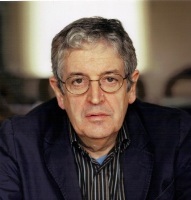 He is the author of Paralyses (2010), winner of the MLA’s Scaglione Prize in French Studies. His fiction has appeared in ZYZZYVA and Wave Composition. Gerald Dawe’s most recent collection, Points West was published by The Gallery Press in 2008. 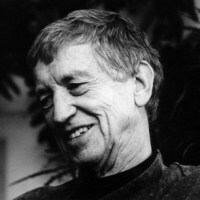 His Selected Poems will be published by Gallery in spring 2012. Conversations: Poets & Poetry was published recently by Lagan Press. He teaches at Trinity College Dublin. Paul Durcan is one of Ireland’s foremost writers and is renowned as both an outspoken critic of his native country, and as a chronicler of its emergence from the repressions of the 1950s to the contradictions of the present day. His first book, Endsville (1967), has been followed by more than twenty others. 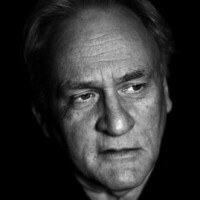 In 2001 Paul Durcan received a Cholmondely Award. He was the Ireland Professor of Poetry 2004-2007. In 2009 he was conferred with an honorary degree by Trinity College, Dublin. Paul’s 22nd collection of poetry, Praise In Which I Live And Move And Have My Being will be published in April 2012 by Harvill Secker. Andrew Jamison was born in Co. Down in 1986 and studied at the universities of London and St Andrews. Currently on the Teach First graduate programme, he teaches English in Bradford. He recently won the Templar award and his pamphlet, The Bus from Belfast, was published in 2011, the same year that he appeared in The Salt Book of Younger Poets. His debut collection, Happy Hour, will be published by Gallery in the summer of 2012. 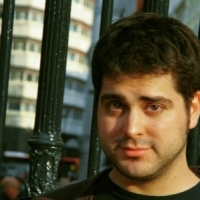 Canadian poet Evan Jones has lived in Manchester since 2005. With Todd Swift, he co-edited the anthology Modern Canadian Poets (Carcanet 2010). His most recent book is Paralogues (Carcanet 2012). Jackie Kay is a poet, novelist and writer of short stories, and has enjoyed great acclaim for her work for both adults and children,winning the Guardian Fiction Prize for her debut novel Trumpet. Her most recent works are Red Dust Road, an autobiographical journey,and the volume of poetry Fiere. 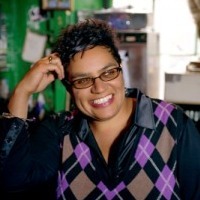 Born in Edinburgh, Jackie Kay teaches at Newcastle University, and lives in Manchester. In 2006 she wasawarded an MBE for services to literature. Her forthcoming collection of stories,Reality,Reality, will be published by Picador in May 2012. 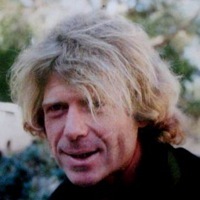 Gregory O’Brien is a New Zealand poet, art-writer, essayist and painter, whose books have been published widely in Australia and the United Kingdom, as well as in his homeland. 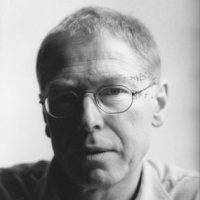 Carcanet (UK) published his 1994 poetry collection, Days Beside Water, and his book-length essay News of the Swimmer Reaches Shore (2007). His most recent collection of poems, Beauties of the Octagonal Pool, appears from Auckland University Press in February 2012. O’Brien is also a widely exhibited painter and, in May 2011, co-ordinated an artists’ trip to the remote Kermadec Islands, North of New Zealand, and co-edited the book, Kermadec which was one outcome of that project. James Robison has published in The New Yorker, won a Whiting Grant for his short fiction and a Rosenthal Award from the American Academy of Arts and Letters for his first novel, The Illustrator, brought out by Bloomsbury in the U.K. His work has appeared in Best American Short Stories, The Pushcart Prize, and Grand Street. He co-wrote the 2008 film, New Orleans Mon Amour and has poetry and prose forthcoming or published in Story Quarterly,The Northwest Review, The Dublin Quarterly, Salt Hill Journal, The Raleigh Review and elsewhere. He taught for eight years at the University of Houston's Creative Writing Program, was Visiting Writer at Loyola College of Maryland, was Fiction Editor of The North Dakota Quarterly and 2011 Visiting Artist at The University of Southern Mississippi. 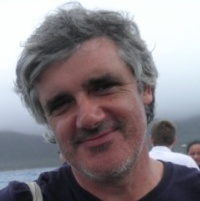 Neil Rollinson was a 2005 winner of the Cholmondeley award, an annual award for poetry given by the UK’s Society of Authors. He spent two years as writer in residence at Wordworth’s Dove Cottage in the Lake District, before becoming the Centre for New Writing’s first writer in residence in October 2007. His fourth collection of poetry, Demolition, was published as he took up the post, and was described by Alan Brownjohn in the Sunday Times as “…surely his best book…” Previous collections include A Spillage of Mercury (1996) and Spanish Fly (2001). C.D. Rose is originally from Manchester, but has lived in many other places. His short fiction has appeared in New Writing 14, Parenthesis, Unthology No. 1 and at untitledbooks.com, amongst other places. He is currently working on a piece about the strange fates of a number of early pioneers of photography and film, as well as editing the Biographical Dictionary of Literary Failure. Geoff Ryman is the author of several successful novels, mostly science fiction. The Unconquered Country (1984) won both the British Science Fiction Association (BSFA) Award and the World Fantasy Award. The Child Garden (1989) won the Arthur C Clarke Award and the John W Campbell Memorial Award (First Place). An extract published in Interzone also won a BSFA Award. Geoff recently edited When it Changed, an experiment between leading scientists and literary authors to create a brand new strain of the SF bug; one that extends the scientific repertoire of the genre beyond the commonplaces of space-travel, time-travel or AI. Jeffrey Wainwright’s poetry is published by Carcanet Press, most recently Clarity or Death! (2008). 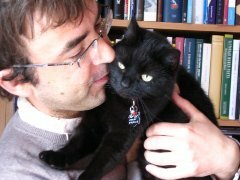 His critical work includes a book on the poetry of Geoffrey Hill, Acceptable Words (Manchester University Press 2006) and Poetry the Basics (Routledge second edition 2011). A new book of poems, The Reasoner, is to be published by Carcanet in October 2012.